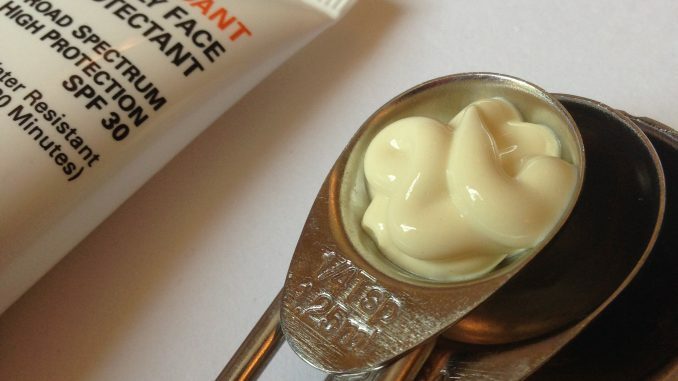 So this is why, even if your foundation or BB cream contains SPF, that’s not enough to protect your skin from the risk of skin cancer or premature ageing. Because when did you ever put that much base on your face? I prefer to use a specialist facial sun cream when I’m wearing it with other skincare and make up as it just seems to sit better that way. 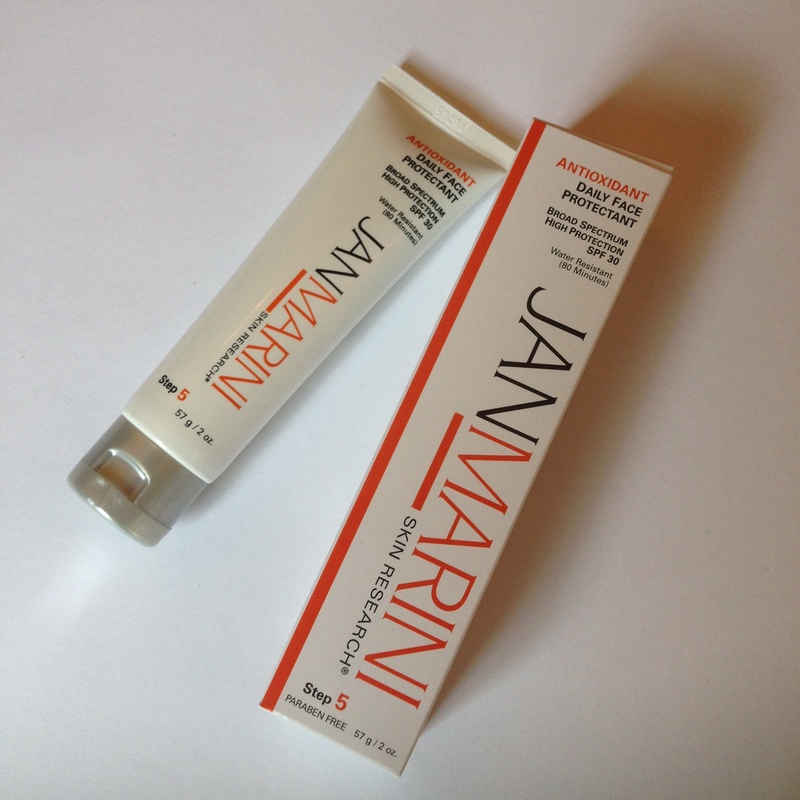 Over the last few weeks I’ve been trying out the Jan Marini Antioxidant Face Protectant. Jan Marini Antioxidant Daily Face Protectant SPF 30 combines a cutting edge microscopic sponge encapsulation system, state-of-the-art sun protection, and a Phytomelanin plant extract that mimics human melanin and provides further UV and antioxidant protection. Antioxidant Daily Face Protectant SPF 30 ensures continuous coverage for daily or extended exposure conditions with a broad spectrum SPF 30 rating. This non-greasy protectant gives facial skin a soft, silky, conditioner effect as it aids in increasing and sustaining moisture content for all skin types. It’s also paraben-free and water resistant for around 80 minutes, so it will protect you when you’re swimming, but not indefinitely. The antioxidants work to protect your skin from free radicals such as pollution and smoke and just day to day city grime. As you can see from the photo, it comes out of the tube pale yellow and very smooth. It’s got a light tropical fragrance, like a Pina Colada on the beach kind of smell. The recommendation is to apply it 15 minutes before sun exposure. 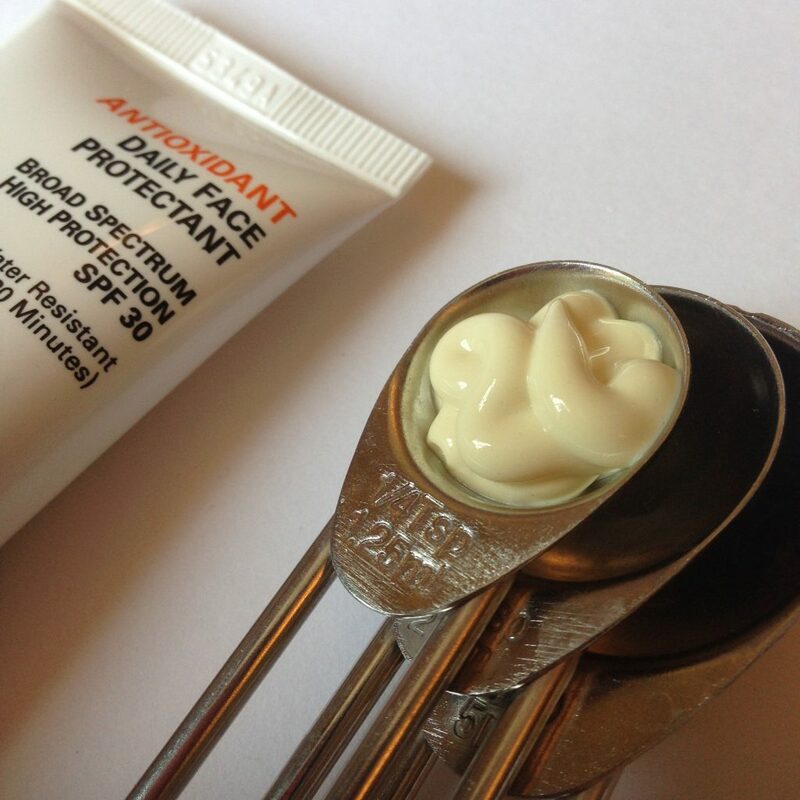 The light and non-greasy formula melts invisibly into the skin without leaving a white cast or too much shininess. So you can wear it in conjunction with your regular make up and it won’t make you look oily or caked in product. 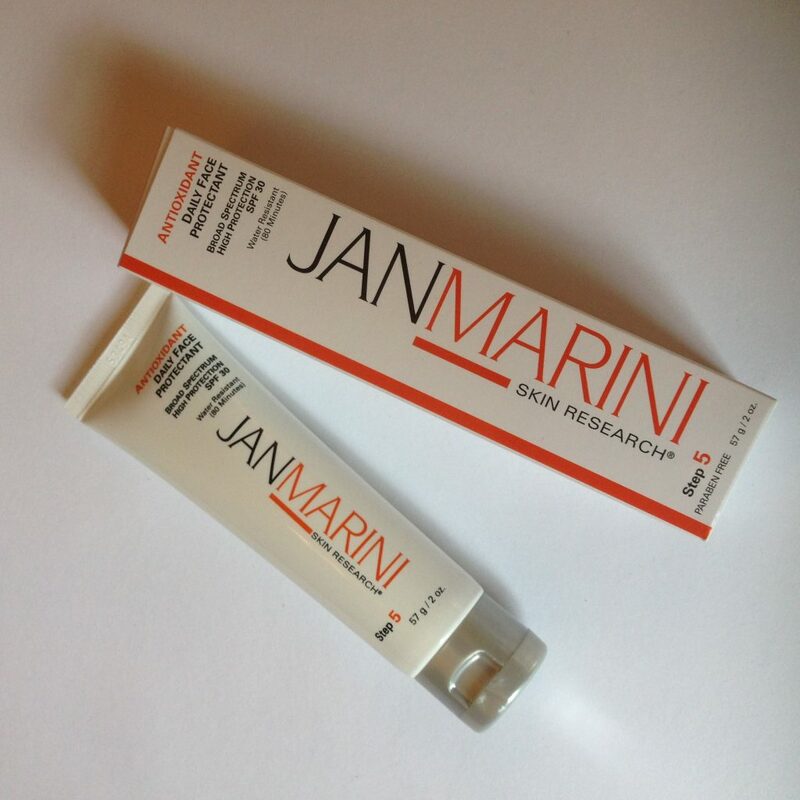 US brand Jan Marini Skin Research isn’t the cheapest of brands but it is known for great skincare. I’ve used and reviewed several Jan Marini products now and always found them to be of consistently high quality, so much so that I keep going back to them even when the review process is over. I’ll definitely keep using this one. It just disappears into the skin and gets to work protecting you from sun and air damage.